Lovely Manly Dangly Bits reviews the L'Oreal Men Expert Hydra Energetic Sport Set! Today's post comes courtesy of our brother Stephen who has reviewed boy things for us before, entitling his corner of the blog "Lovely Manly Dangly Bits"! 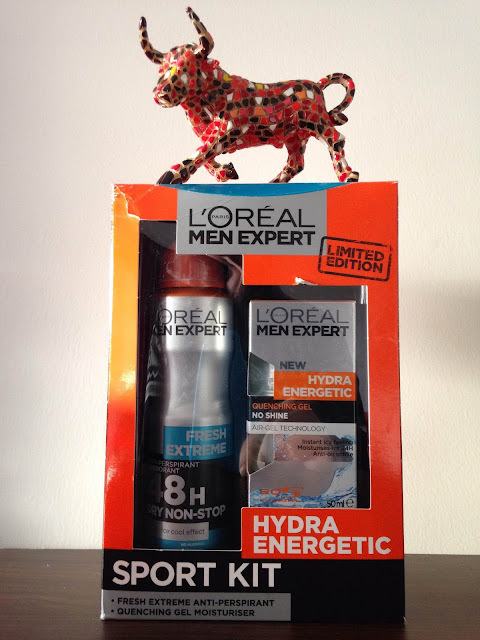 When this Hydra Energetic Sport Kit from L'Oreal arrived a few weeks ago, I handed it over for himself to try as I'm sorry, I try a lot of things for the blog, but I draw the line at manly moisturiser and deodorant! Over to you Stephen! Now before we start, I have to make reference to this Dara O'Briain video, where he puts it better than I ever could: http://www.youtube.com/watch?v=fPre1TtvTqk. The reason I refer to this are the words on the box: Air-Gel Technology and Hydra Energetic. I just don't think a man-man-man-man-manly-man-man would walk by this in the shops and go 'Oh my God this has AIR-GEL TECHNOLOGY! I must have it'. I know I wouldn't. Anywho, onto the stuff itself. I've been using other moisturiser for the past year that I've found really good. A little on the dear side but it definitely works for me. I gave the L'oreal stuff a go for two weeks to see if it was any use. Overall, I'm kinda on the fence on whether I'd buy it. It seemed inexpensive to me when I initially looked at it - €15 quid for a 50ml bottle. The bottle looks bigger but when I did the maths - and I'm no mathematician - its as expensive if not a little more expensive than the one I currently use. The fact that this set costs €13.00 and you're getting a deodorant as well takes the edge off the financial sting. Personally, I'm not looking for technology in a moisturiser. I'm also not looking for anything 'quenching' other than an ice cold beer on a really hot day. m If your moisturiser doesn't make my face feel all tight or give me spots, your job is done. 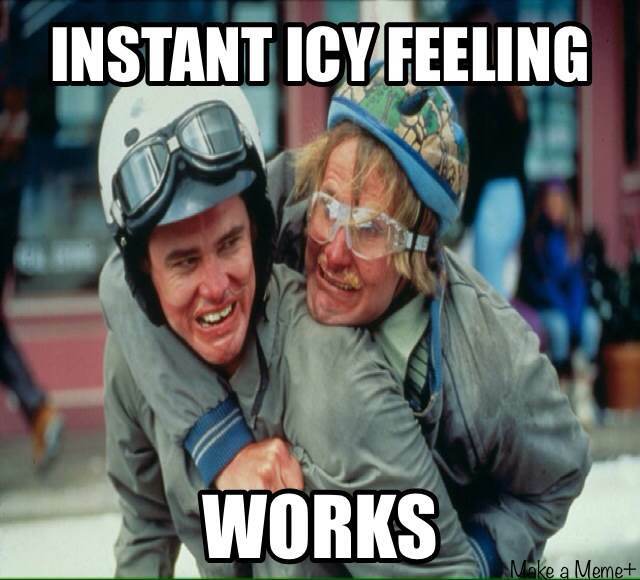 Pros: Absorbs quickly, fresh feel after applying. Cons: Silly marketing on the box aimed for 8 year olds, deceivingly expensive. So he gives the set 8 Dangly Christmas Balls, not bad eh? Sets like this are always a handy stocking stuffer at this time of the year and are really reasonably priced. The fact that Stephen was freaking out thinking it was €15 for a bottle of moisturiser made me not want to tell him how much I spend on moisturisers! Ah to be a lad! Thanks for the review Stephen! He'll be back with more Lovely Manly Dangly Bits in the future, so stay tuned! Our New Year's Resolutions for 2014! Happy Christmas from Lovely Girlie Bits! Christmas gift guide - Stocking stuffers! Christmas gift guide video - The beauty edition! Christmas gift guide! The electronics! Bargain alert! Ebay brushes - dupes for Sigma? Michael Kors has come to Arnotts! Red & gold Christmas makeup look!